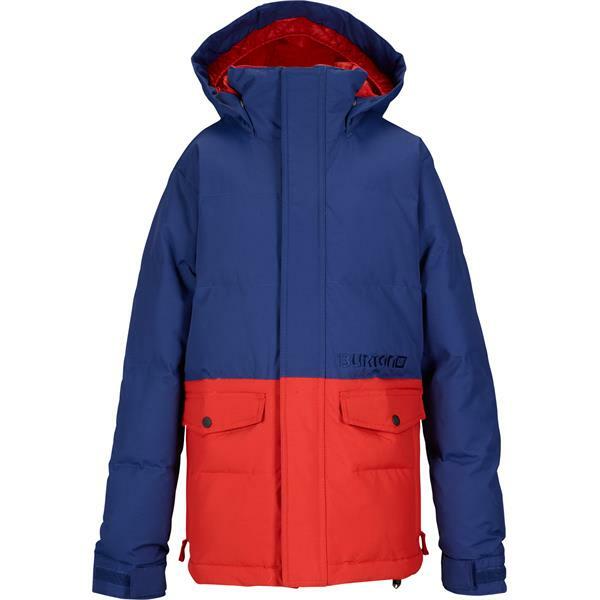 Even the coldest days of in the mountains are no match for the amazing warmth and fantastic youth performance of the Burton Hot Spot Puffy Snowboard Jacket for kids. With a Dryride Durashell outer providing 10,000 mm of waterproof protection and 5,000 g of breathability, your little shredder will stay dry in a storm without overheating when the sun comes out in the spring. The Thermacore Synthetic Tech Down Insulation keeps heat from escaping without being heavy or restrictive so your young snowboarder can tear up the slopes in comfort and stay out riding when everyone else is hiding out in the lodge. Amazing quality and a more amazing price. I was browsing coats for a Christmas gift and my son saw this jacket and loved it immediately because of the color scheme and blocking pattern. I was drawn to the price (it was on sale). When I looked at the description and all the features, I knew it was a great deal. I'm hoping that when it comes I am not disappointed. Does the hood tuck in a pocket or come off? 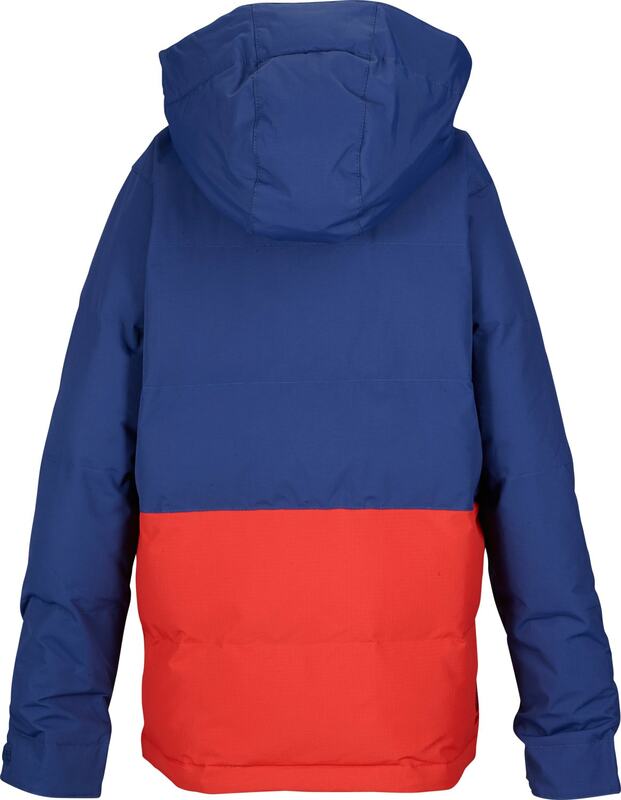 BEST ANSWER: Hi Kryste, no, the hood on the Hot Spot Puffy Snowboard Jacket is full time. It will be fixed on the jacket. 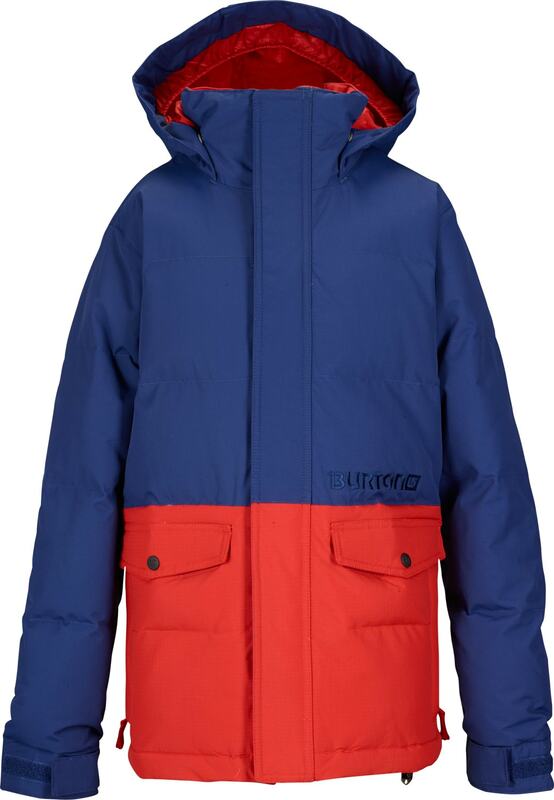 THe Burton Hot Spot Puffy Snowboard Jacket is the warmest Youth/Kids jacket in the Burton line!